This patient has almost perfect teeth, but then developed external resorption of their upper right central incisor. They saw an endodontist who told the patient that it wasn’t restorable, and then the patient found their way to me. The patient has kindly allowed me to show their case. The dreaded single central. 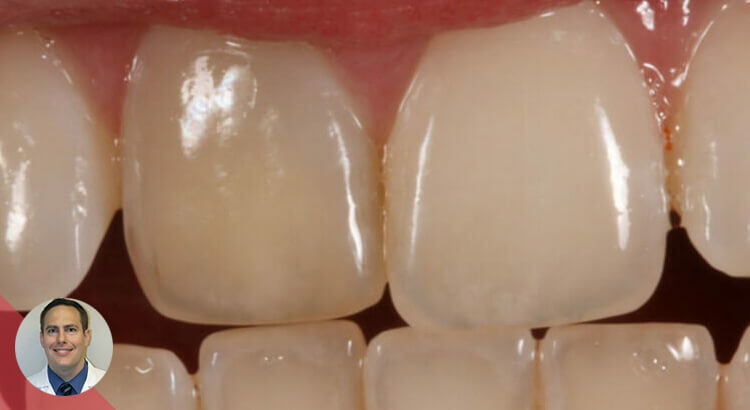 Patient was concerned because her “front tooth had been getting darker over the past three months”. 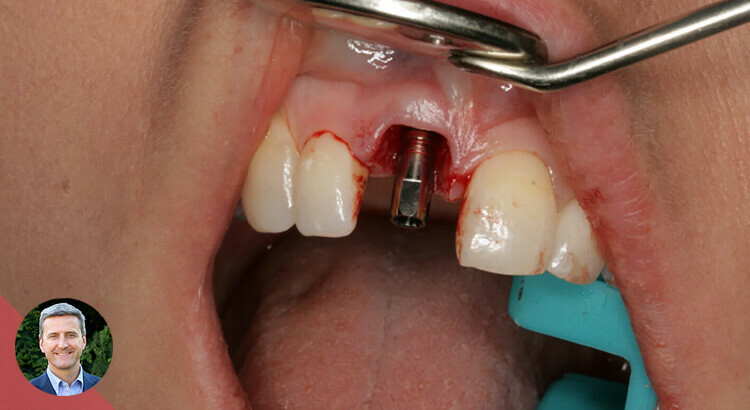 Endodontic therapy had been performed 10 years prior. Sketchy mid-root region, endodontist confirmed resorption. Patient wouldn’t be able to get the exo for a while. This restoration is meant to be a long term provisional, but I saw no better way to address the situation given the circumstances.